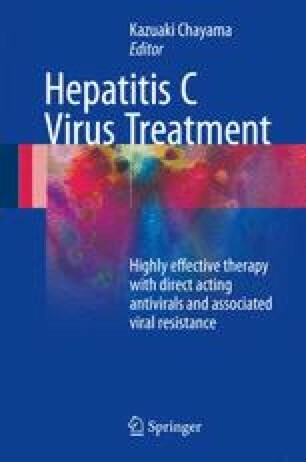 The safety and effectiveness of antiviral therapy for chronic hepatitis C has improved markedly with the introduction of direct-acting antiviral drugs and a concomitant decrease in interferon use. Although DAAs are potent antivirals, the emergence of resistance against DAAs has spurred the development of new drugs. Second-generation NS5A inhibitors have a higher genetic barrier compared to first-generation NS5A inhibitors and are highly effective against strains that are resistant to first-generation NS5A inhibitors. While new drug development has primarily focused on DAAs, another way to counter DAA resistance is to develop combination therapies that target host factors in addition to viral factors because it is more difficult for the virus to overcome changes in the host environment. For example, miravirsen targets host microRNA-122, which is highly expressed in hepatocytes and essential for viral replication. Emergence of resistance mutations in such therapies is very low. Therefore, combined use of DAAs with other drugs is expected in the future to achieve high SVR rates while minimizing the risk of resistance.